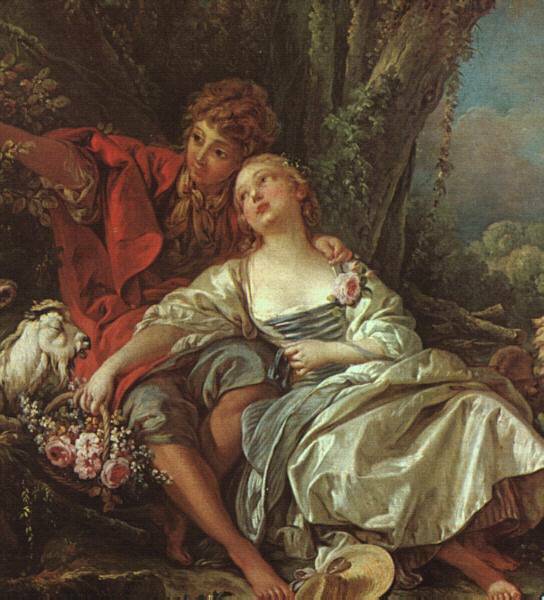 Boucher, François (1703-1770), French painter, noted for his pastoral and mythological scenes, whose work embodies the frivolity and sensuousness of the rococo style. Boucher, the son of a designer of lace, was born in Paris. 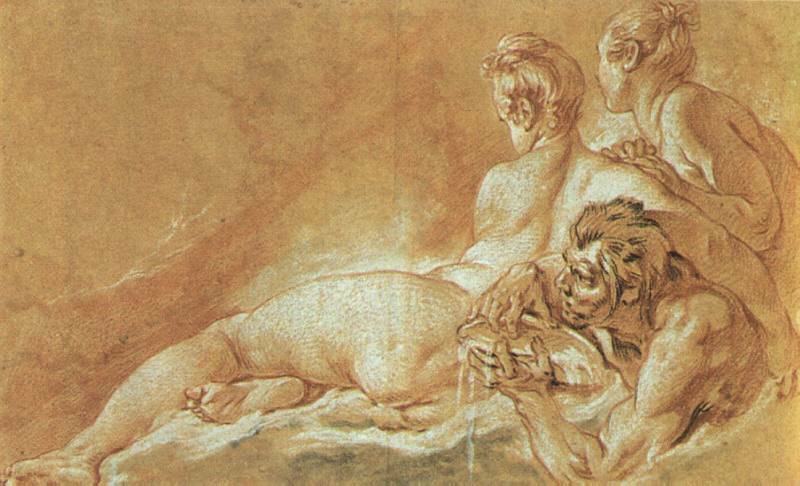 He studied with the painter François Le Moyne but was most influenced by the delicate style of his contemporary Antoine Watteau. 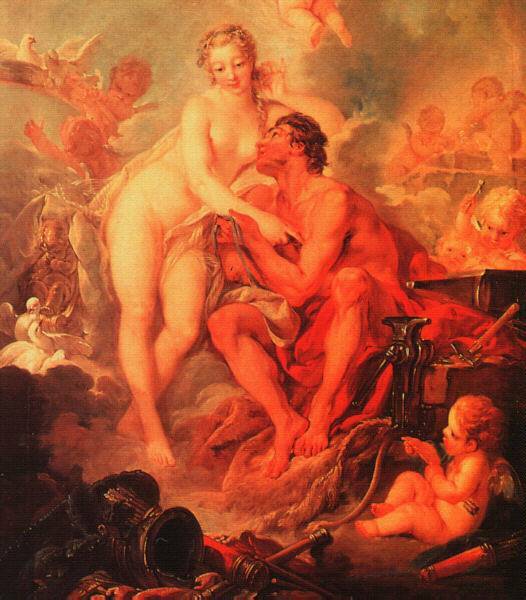 In 1723 Boucher won the Prix de Rome; he studied in Rome from 1727 to 1731. After his return to France, he created hundreds of paintings, decorative boudoir panels, tapestry designs, theater designs, and book illustrations. 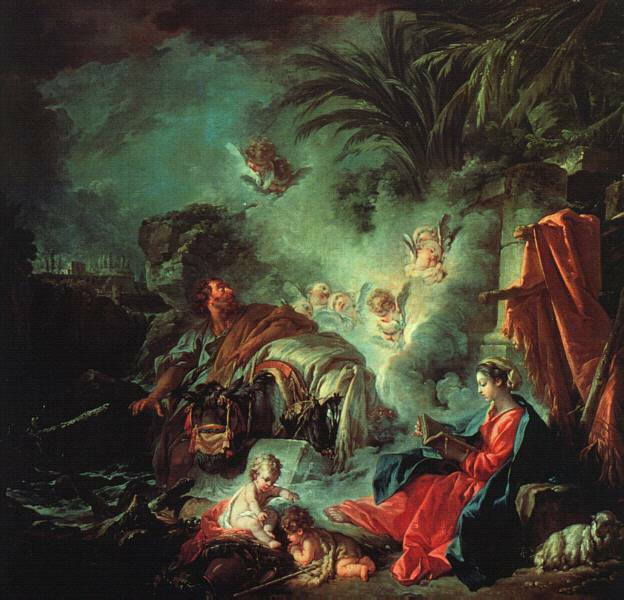 He became a faculty member of the Royal Academy in 1734. 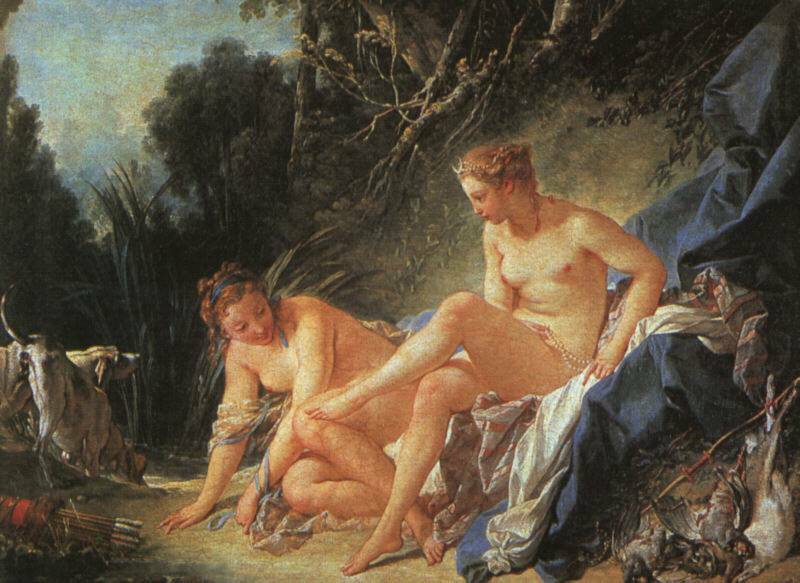 He designed for the Beauvais tapestry works and in 1755 became director of the Gobelins tapestries. 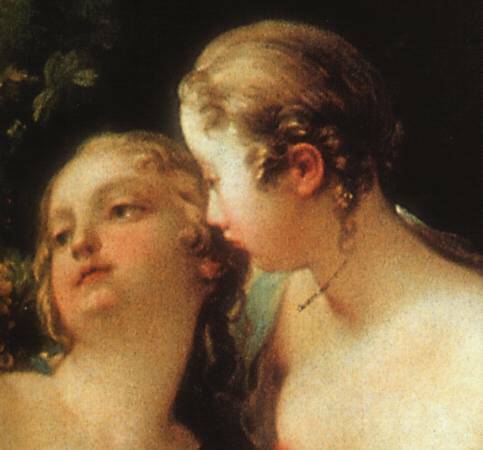 In 1765 he was made first painter to the king, director of the Royal Academy, and designer for the Royal Porcelain Works. 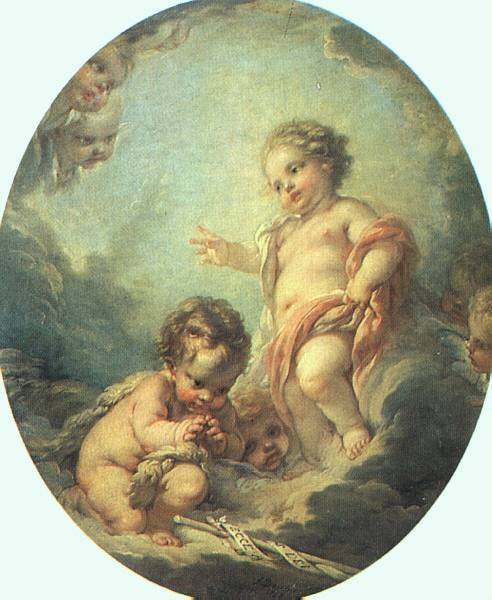 His success was encouraged by his patron, Marquise de Pompadour, mistress to Louis XV. He painted her portrait several times.